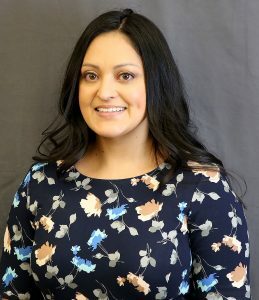 Marisa Cuellar Zane joins Marquette University Law School as the public interest law fellow in the Office of Public Service. In her new role, Marisa will further develop the Marquette Volunteer Legal Clinic’s (MVLC) estate-planning services. The MVLC is committed to helping low-income people navigate their estate-planning options by empowering clients with useful information. In 2017, the MVLC’s House of Peace and Veterans Service Office locations helped 75 people establish estate plans. The need for estate-planning services is often overlooked in communities with low incomes and relatively lower-value assets. Yet in Milwaukee’s low-income communities, owning a home is not uncommon. Planning is essential to keep a home, usually a family’s largest asset, in the family. Advance planning also can include assigning an agent for making financial and healthcare decisions in order to avoid adult guardianship proceedings in court should infirmities arise down the road. Estate planning helps individuals and families, and it also helps stabilize neighborhoods and communities. When estate planning is complete, there is greater access to public programs that can alleviate financial burdens for homeowners. Marisa will work to expand these services at existing MVLC sites and other locations in the community, working with students and other volunteers. The position of public interest law fellow, projected as a two-year position, is underwritten entirely by a gift to the Law School. Marisa is well accustomed to multifaceted work. She has worked as a newspaper reporter and a marketing writer for a health system and volunteered at the MVLC and in Wills for Heroes in southeastern Wisconsin. Her dedication to public service led her to apply for the fellowship position. Marisa is a Wisconsin native. She has a bachelor’s degree in journalism from the University of Wisconsin-Oshkosh and graduated from Marquette University Law School in 2011.